This head-to-head camera comparison is for the Nikon D850 vs. Nikon Z 7. These are remarkable cameras that share plenty of common features. They also have distinct differences. It’s not a simple case of which is better. Both cameras offer specs and unique features that appeal to photographers in different ways. You’ll know which model meets your needs by the end of this page. Some of you reading here are DSLR fans who are curious about Nikon’s mirrorless Z7™. Others are mirrorless camera users who are keen to explore a professional DSLR like the Nikon D850. Below is the logical format this page follows to break down these two amazing cameras. Why Consider the Nikon D850 over the Nikon Z 7™? Why Consider the Nikon Z 7™ over the Nikon D850? The visible differences between these two cameras are apparent. However, the 16 areas where they offer the same or similar specifications and features will surprise some. Let’s start with connectivity. Both cameras have wireless (WiFi) and Bluetooth connectivity. Bluetooth is handy for sharing data wirelessly between other Bluetooth devices. Smartphone remote control is another useful feature. These cameras have similar LCDs. Flexible composure and shooting are easy thanks to the articulating screens. They also use touchscreen technology for quick and easy access to camera functions. The rear LCD screen size is a generous 3.2 inches for both cameras. Each body also sports a top LCD. Top mounted LCD panels can be invaluable, especially when shooting low down. Other shared exterior features include an external flash shoe, headphone port, and a microphone port. Headphone and mic ports are vital for videographers and vloggers who demand high-quality audio. All-weather photographers are certain to appreciate the environmental sealing of these cameras. RAW file support gives more potential for editing on your monitor, and better quality images compared to JPEG. Both cameras save JPEGs when photographers don’t want or need to shoot in RAW. Each camera has a 46-megapixel resolution. It guarantees large, high-quality prints with impressive details. The only downside to high-resolution cameras is that they demand lots of storage space. Finally, there are the shared shooting features. Face Detection Focus—also called Face-priority AF—helps with portraiture. It works by setting the right focus and precise exposure for face shots. The time-lapse recording is a favorite feature for creative photographers. The Nikon D850 and Z7 also have AE Bracketing (AEB). AEB is instrumental for shooting in unpredictable or challenging light. Nikon’s Z7 has a magnesium alloy construction with full weather-sealing. 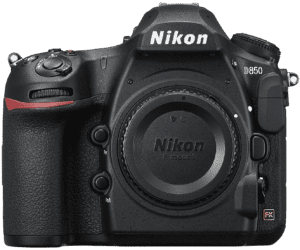 The bulkier Nikon D850 has a magnesium alloy chassis and also provides full weather-sealing. The D850 is markedly more robust. Size differs between these cameras as the D850 is a Digital-SLR whereas the z7 is a mirrorless model. That makes the Z 7 smaller, more compact, and more comfortable to wear around the neck. The physical weight and size differences of the Nikon D850 and Nikon Z7 are considerable. You can clearly see the width and height distinction from the front view. The Nikon D850 is larger by 34%. A bigger body means extra heft too. In this case, the D850 weighs almost 50% more than the Z7. That’s significant. It’s also one of the reasons the lighter Z 7 attracts some pro photographers. The table below provides a snapshot of the physical specs for each camera. Nikon Z 7 Width: 5.3” Height: 4.0” Depth: 2.6” Weight: 23.8 oz. Camera lenses also contribute to the weight, but the Nikon D850 will always be the heavier model. Each camera shares the same full frame sensor, so lens specs are comparable for each model. There’s a noticeable difference with the lens mounts. The Z7’s Z mount has a diameter of 55mm whereas the D850’s Nikon F-mount is 44mm. The Z7’s larger mount exists to hold higher quality glass. Button and dial options also differ between the two cameras. The D850’s rear layout is clearly busier than the Z7, especially along the left side of its LCD screen. OK, this is where things get interesting and the reasons that influence buying decisions. Nikon launched its D850 in August 2017, and it’s been a best-selling DSLR ever since. Although the D850 is cheaper than the Z7, the difference is minimal at this level. You can expect to save around $100 (at the time of writing), but prices may fluctuate. Now to the features. The D850 gives 1840 shots on a fully-charged battery to the Z7’s 330—a difference of 1510 shots. Longer battery life is no small detail, especially with busy semi-pro and professional photographers. Extra image & video storage is always welcome, and the D850 has dual memory card slots. It also supports Ultra High Speed (UHS) cards. UHS memory cards read and write data much faster than standard alternatives. Exterior extras for the D850 are its flash sync port and backlit buttons. The flash sync port affords better off-camera lighting. And the illuminated control buttons are priceless for working in the dark. Focus Bracketing, also called Focus Stacking, is another of the D850’s standout features. It works by taking multiple photos while shifting focus points to ensure accurate results. And finally, there’s the D850’s 8K time-lapse option. It’s a welcome mode that lets users create stunning time-lapse videos in 8K resolution. 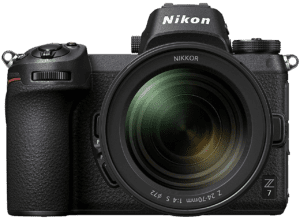 Nikon announced the Z 7 in August 2018. That means it hasn’t been around long enough to stand the test of time. It looks promising, though, and there’s already plenty of positive feedback. There are fewer reasons to choose the Nikon Z 7 over the Nikon D850, but they’re significant. Its continuous shooting mode has an extra 2fps (frames per second). So why does this matter? Shooting more shots per second helps to capture someone or something in action. Every frame in an action shot is different from the one previous. The Nikon Z 7 has 9.0fps to the D850’s 7.0fps. Fast fps is vital for professional, award-winning sports, wildlife, and action photography. The more frames caught, the better the chances are of getting that all-important money shot. Another standout feature of the Nikon Z 7 is its built-in sensor-shift stabilization. That means all lenses mounted on the Z7 become stabilized. The Nikon D850 has to rely on optically stabilized (OS) D850 compatible lenses. Nikon’s optically stabilized lenses have VR on the side that stands for Vibration Reduction. The downside to VR lenses is that they cost more than the standard non-VR alternatives. OK, the final advantage the Z7 has over the D850 is its 340 extra focus points—493 vs. 153. A camera with extra focus points does a better job of looking after the overall focus. That lets the photographer concentrate more on composition and less on focusing. This section looks at the shared limitations between the Nikon D850 and Nikon Z 7™. All cameras have strong and weak points, but these models only share two disadvantages that I can see. The first observation is that neither camera has a built-in pop-up flash unit. No one likes the harsh light of a built-in flash, but it can still prove valuable in certain situations. A photographer may suddenly need to capture someone or something in poor light. Well, they can lose that opportunity forever if there’s no built-in flash or flash unit on the hot shoe at that moment. The final shared disadvantage of these cameras are their high price tags. Cost is relative for professionals who view them as tools of the trade that make money. For a lot of serious hobbyists, though, the price of these beautiful cameras puts them out of reach. Nikon may argue that both models are already an exceptional value and priced as low as possible. Photographers don’t buy cameras like the Nikon D850 and Nikon Z 7 in ignorance. Owners of these pro-level models are expert photographers who know exactly what they want. It’s for these reasons that most reviewer feedback is positive. There will always be a few personal gripes, but there are few shared disappointments. Photographers still like to leave product feedback, even at the pro level. It’s their way to share thoughts and opinions with others in the industry. The Nikon D850 gets plenty of positive praise for its outstanding image quality. Pro level users love the intuitive and responsive tiltable LCD screen. They also write of the improved screen brightness. People are happy with the fast, accurate autofocus system. The decent battery life of the D850 pleases reviewers as well. A few photographers complain that the menu system is old and dated, though. Negative type comments for the D850 are more like observations or wish lists than actual gripes. They include things such as no GPS, missing built-in flash, and no in-body image stabilization. So far, the Nikon Z 7 enjoys positive praise from its reviewers. There’s not a vast amount of feedback yet as the camera hasn’t been out long, plus it’s a niche market. Those who own a Z 7 are no strangers to high-end cameras. 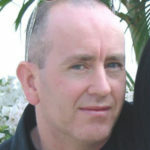 This model is on course to becoming another massive success if the early feedback is anything to go by. Reviewers love everything about this model from its look, feel, features, and functions. Photographers seem relieved that the Nikon Z 7 delivers in the way the company said it would. The physical appeal of the Z7 is as much a factor as its photographic and video capabilities. Users talk of the perfect balance and how it feels like a natural extension to the hands. Owners also like the placement of the camera’s physical controls and intuitive menus. There are only two shared gripes to date. One is that the autofocus (AF) isn’t the best in low light. The other complaint is that there’s AF compatibility issues with some third-party lenses. Expect a lot more feedback over the coming months for the Nikon Z7™. It’s the camera to watch. Nikon’s Z7 is likely to become the pro-level mirrorless camera that sets the standard for all others. The Nikon D850 and Nikon Z7™ are both serious cameras. They have much to offer and are among the best digital models in their respective classes. Nikon’s Z 7 has an edge in some key areas like the smaller, lighter body, and slightly sharper image quality. And let’s not forget the in-body image stabilization or IBIS. However, the Nikon D850 is also an incredible choice. It’s built like a tank, is reliable, and a real workhorse out in the field. It’s also been around longer than the Z 7. Other D850 considerations are its brighter optical viewfinder and a more detailed LCD. It boasts a much better battery life, too, easier device pairing, and extra storage.